Fire safety at the University is regulated by the Seattle Fire Code as well as the Washington Industrial Safety and Health Act (WISHA). Enforcement of these codes and standards are handled by local fire departments and the Department of Labor & Industries. EH&S helps assure compliance with these codes, protect and promote the public safety of faculty, staff, students, visitors and emergency personnel on campus. Employees are expected to keep their workplace free of combustible waste and other materials that prevent access to exits and emergency equipment, or result in an unsafe work place. Refer to the Laboratory Housekeeping Focus Sheet for tips on preventing fires in laboratories. Departments are encouraged to develop pre-fire emergency reference material, some of which may be located on-site and available to the fire department during a building emergency. Building floor plans with hazard information, emergency contacts, and hazardous material inventories can be very helpful in reducing damage and disruption. Building floor plans are provided by UW Facilities and are typically stored in a black cylinder located next to the building's main fire alarm panel. EH&S is available to assist in development of this material. The primary means of fire prevention is to control ignition sources such as open flames, heaters, cooking equipment, research activities and other hazards that must be controlled at all times. Open flame and temporary heating devices, including space heaters, must never be left unattended. Hot work operations such welding and cutting require additional safeguards which can be found on the Hot Work page. Information on electrical hazards can be found on the Basic Electrical Safety page. Ensure that building occupants are able to evacuate a building in the event of an emergency. Detailed information on evacuation procedures are found on the Building Evacuation & Drills page. Refer to the Campus Events page for fire safety information and required permits for special events on campus. Most fire injuries and fatalities occur in residential settings. Fires can start and grow very rapidly, making us most vulnerable in areas where we cook and sleep. 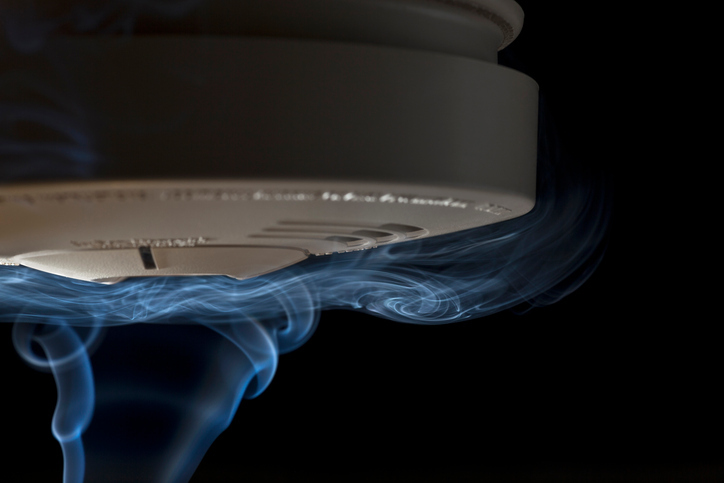 On-campus housing facilities are equipped with smoke and fire detection devices, as well as carbon monoxide detectors (where appropriate) and have policies in place to prevent fires. If an alarm sounds, follow the evacuation route posted on the back of your room door. Students, staff and faculty who live off campus are encouraged to conduct a review of their homes to ensure minimum safety requirements are met. Refer to the U.S. Department of Homeland Security website for information on residential fire safety prevention and response. Corridors used for exiting a building during an emergency must not be blocked and must comply with the UW’s Corridor Policy regardless of whether or not they are publicly accessible. Mechanical spaces, attics, spaces below raised floors, and spaces required for building service and access may not be used for storage of any kind unless constructed for that purpose. Local fire departments may perform periodic inspections of University buildings. These inspections are performed under the authority of the International Fire Code and may be unannounced. Fire department visits, where possible, should be accompanied by persons responsible for the facility, such as a building coordinator. During inspections, code violations may be found. Non-compliant situations may also be discovered while the fire department is responding to a fire or medical call. When violations are identified, they generally need to be addressed within a few weeks, although some more serious violations must be addressed immediately. The timeframe for compliance will be determined by the fire department. Repeated violations, serious health and safety risks, failure to correct a violation in a timely manner and other serious matters may result in fines and/or re-inspection fees. The fire department may also choose to write a more serious citation that could result in severe civil penalties and a court appearance for the responsible party. Any official communication regarding code violations at UW buildings must be provided to EH&S for tracking and recording. EH&S must be notified following receipt of an Order, Citation, or other serious violations, or if there is conflict with the fire department or other agency regulating fire safety. Hardcopies of fire department paperwork should be sent via campus mail to EH&S Building & Fire Safety, Box 354400. If possible, also scan and email paperwork to Diana Zumba at cochrd@uw.edu. In addition to the inspections performed by the local fire department, the EH&S Fire Safety Survey program conducts periodic fire and life safety surveys in over 250 buildings on the Seattle campus, South Lake Union, Sandpoint, UW research stations and other selected facilities. EH&S’s Fire Safety Survey team schedules surveys with building coordinators or building management. We evaluate public areas including hallways and stairwells, conference rooms, classrooms, storage areas and mechanical rooms. We look for unsafe practices and conditions related to fire codes and life safety that may contribute to a fire or deter from effective evacuation of a building in case of an emergency. After each survey, we send the building coordinator a survey report which lists each finding and the party responsible for correcting it. General findings should be corrected within 30 days. See a sample copy of the updated Fire & Life Safety Survey Report. View in-depth explanations of the requirements specified on the report, along with self-help tools, and fire code references on the Fire & Life Safety Survey Explanations page. Operational permits issued by the fire department must be obtained by organizational units responsible for their operations. Examples of permits include place of assembly, hazardous materials, cutting and welding, campus events, and other conditions and operations. It may be possible to maintain one permit for multiple locations in a building if all locations are under the same administrative control. EH&S can help apply for these permits, or help consolidate permits. For example, locations with multiple labs where each lab has an individual laboratory permit or flammable liquids permit. False alarms are disruptive to the teaching and research mission of the University and contribute to a dangerous complacency in occupants, who may be slower to evacuate in an actual emergency. There are a number of safeguards that can prevent or lessen the number of false alarms. The Preventing False Alarms General Focus Sheet covers prevention of false alarms in office, residential and teaching environments. The information provided can be used by building coordinators or occupants to help plan ways to avoid unwanted disruptions. The Preventing False Alarms During Construction Focus Sheet covers prevention of false alarms during building construction and maintenance. The content is primarily geared toward contractors and project managers, but may also help building occupants understand how construction activities within their buildings are managed. Online fire extinguisher training is available to anybody with a UWNetID. Hands on fire extinguisher training sessions are offered spring, summer, and fall quarters.